Ecocentric Mom has had some exciting changes recently. While still the best natural mommy & baby box on the market, they now give you the power to choose 2-3 of your items. At first I wasn’t sure about his option. Wouldn’t this take away the element of surprise? After going through the experience though, I love it. There’s a wide variety of items to choose from between baby and toddler items, pampering mom and food. Need some extra pampering this month? Choose more items for yourself. On a new diet? Avoid oils or dairy or whatever it is. The box is still packed with other goodies so it’s definitly still a surprise. This month’s box is the healthy home collection, featuring a bunch of products to help ‘green’ your bathroom, laundry routine and snacking. I received the following product at no cost to facilitate my review; however all opinions remain my own. The following article contains affiliate links, meaning I will receive a small commission if you purchase something at no additional cost to you. For more information, see my full disclosure policy. Puracy Foaming Hand Soap – Plant based and effective this foaming hand soap smells wonderful. Foaming hand soaps are always a hit in our house (it comes out prebubbled for my toddler). This handsoap smells wonderful without smelling ‘processed’. Vegan and gluten free. Puracy Natural Washroom Spray – The washroom spray is designed to spray into the toilet to mask odors from when you’ve gone #2. The scent compliments the lavender vanilla of the hand soap and is 100% biodegradable so safe for your septic system. I have to admit, that this type of product confused me at first, but after having the misfortune of attending a party with a stomach ache a few months ago, I’ve actually come to appreciate this type of thing. Use before you poo. Vegn & Gluten Free. 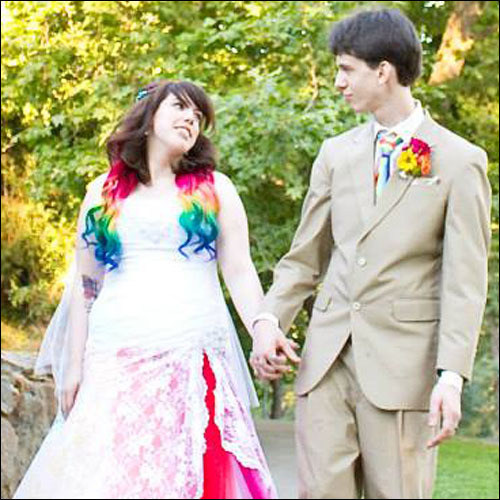 Laundry Suds by the Lilac Moon Company – Love seeing handmade items (an etsy shop!) featured this month. Worked well on my laundry and has a pleasant lemon orange scent. Enough for two washes. 100% Wool Dryer Balls – Set of 3 wool dryer balls by Ecocentric Mom. Toss these in the dryer to shorten the dry time of your clothes while reducing static and wrinkles in the process. These help eliminate the need for dryer sheets. For a boost of fragrance, you can also add a drop of essential oil to the ball. Coconut Karma Portable Coconut Oil – My toddler was super excited for this at first since it’s the same shape as fruit pouches; he was quickly disapointed. This was a strange product to me at first, since I’ve never needed coconut oil on the go, but it’s actually quite nice. Fits easily in my purse or even diaper bag and easy to store at work. I usually have a few oils in my purse and at work, and it was nice having a small container of carrier oil. Eek! Halloween by Sandra Boynton – A cute addition to this month’s box was a holiday book. We have a few other Sandra Boynton books, so the artwork and rhyme scheme was already familiar to my kids. My toddler thought the animals dressed in costumes was hilarious, so this was a definite win for us! Eco Sprouts Snack Cups – Made from plant based plastic, these reusable cups from Eco Sprouts can hold baby food, snacks, trinkets or really whatever. I had the hardest time snapping a picture of these since my toddler kept snatching these away. We’ve only gotten to use these for food once; he’s too busy stacking and rolling these. The Ecocentric Mom boxes are an amazing way to try new products and brands. It’s so much fun trying things I wouldn’t have bought normally (totally wouldn’t have the poo spray, but it legit is a great product – at least for parties and gatherings!). The boxes are always such a wonderful value containing both full and sample size products. Want to get your hands on the next box? Or maybe you need the perfect gift for a mama in your life? 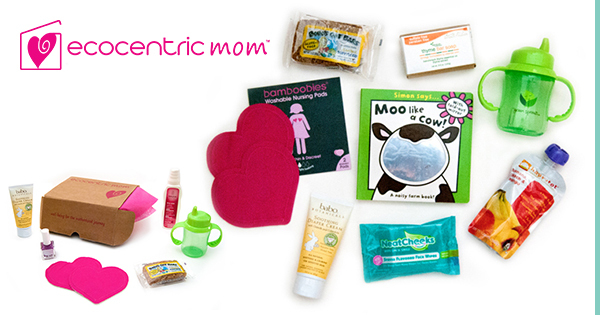 Sign up now on Ecocentric Mom‘s site to make sure you get next month’s box.